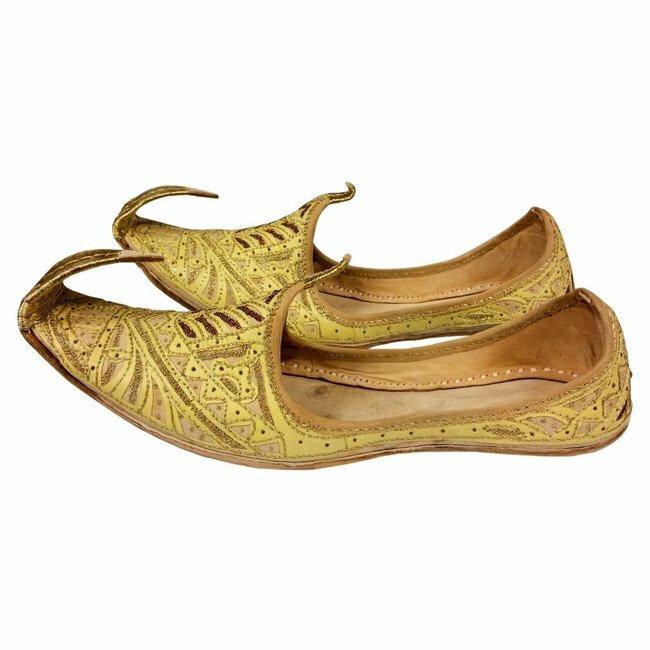 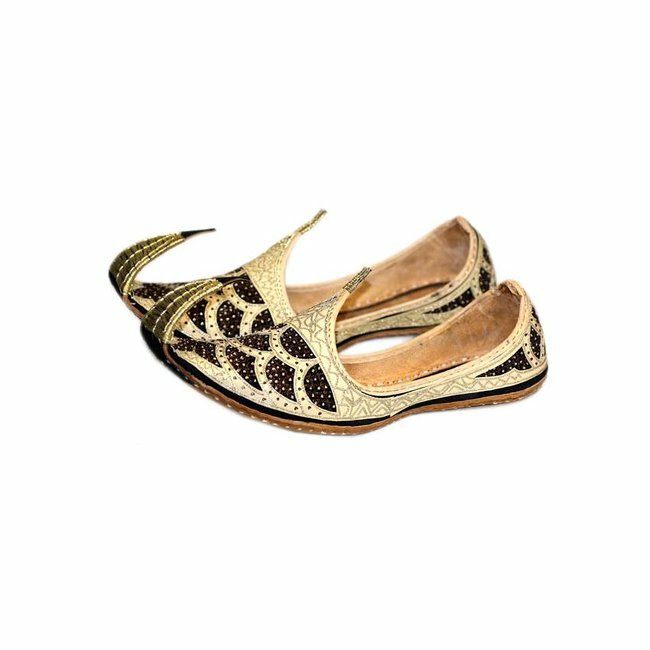 A traditional classic from India and Pakistan - open Khussa made of genuine leather with beautiful highly detailed embroidery. 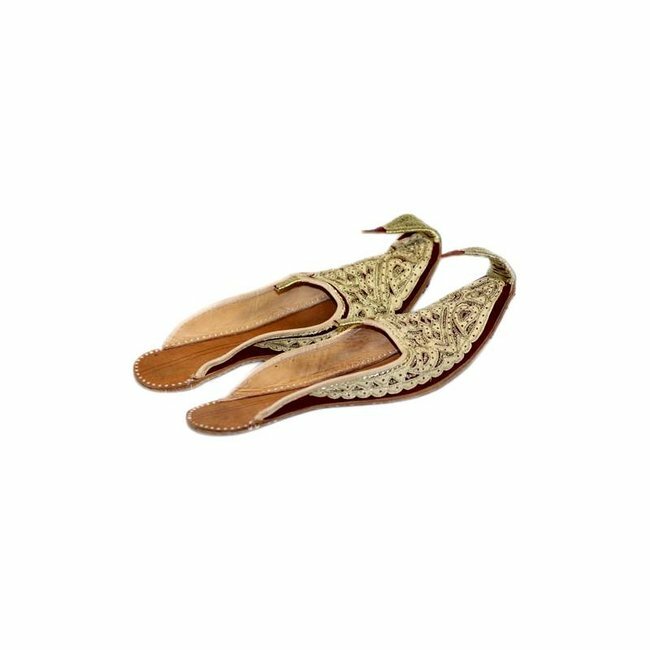 (40, 41) Handicraft Read more..
A traditional classic from India and Pakistan - open Khussa made of genuine leather with beautiful highly detailed embroidery. 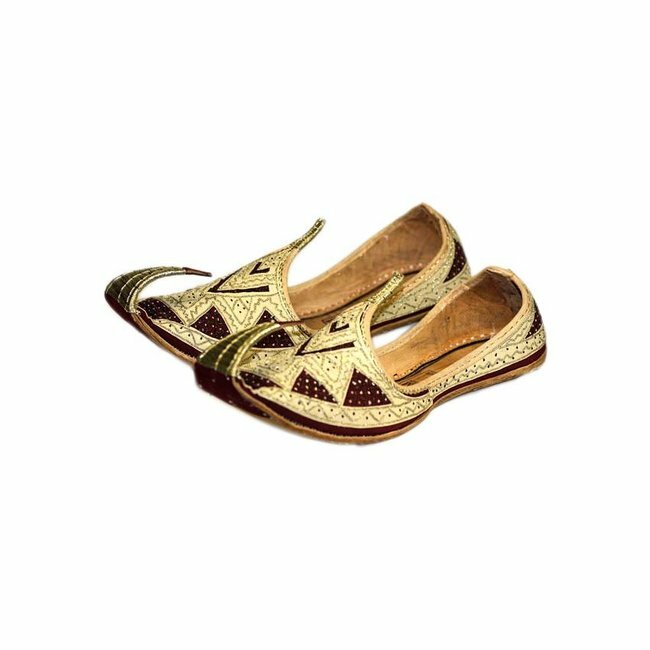 Handicrafted is this very quality shoe a testimony to the rich cultural tradition in India and Pakistan. 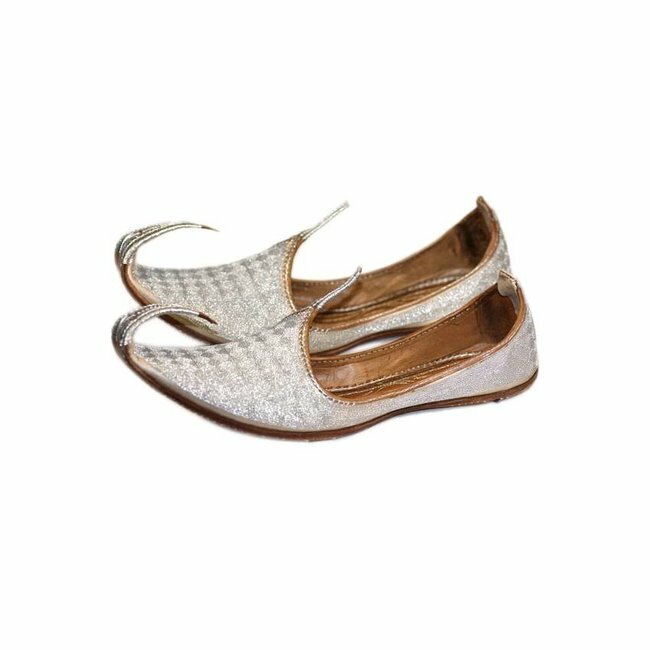 This kind of shoes is worn tradtionell mainly on special occasions such as weddings. 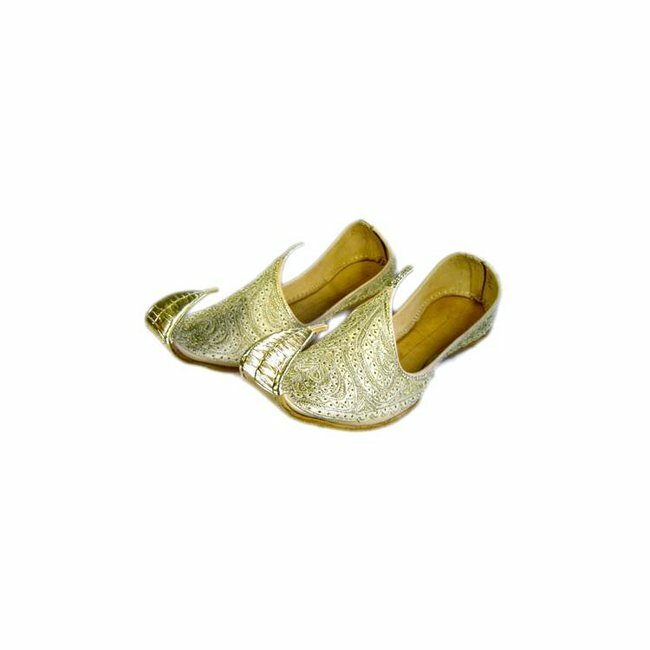 The Khussa fall from initially a bit tight and stiff. 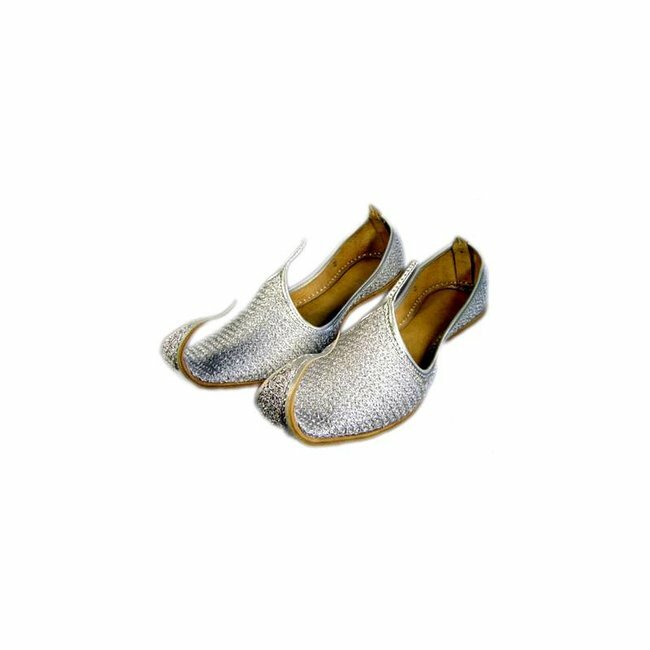 After a short gestation period, however, they fit perfectly to the individual foot shape and then sit perfectly.